With over 30 years of experience in the of Golf Course construction industry, McDonald & Sons’ hallmark is our reputation for quality work and client satisfaction. Specialized equipment and our talented field staff make this possible. An open-bookkeeping approach to our projects creates a level of trust that leads to long-lasting relationships. McDonald & Sons is proud to have constructed eleven new 18-hole golf courses and enjoys implementing the vision of today’s golf course designers. The size of our equipment fleet allows us to provide the horsepower required for jobs of this size while still supporting other smaller scale renovation projects. The McDonald team has talent and expertise to build features that exceed the expectations of the client and the designer. 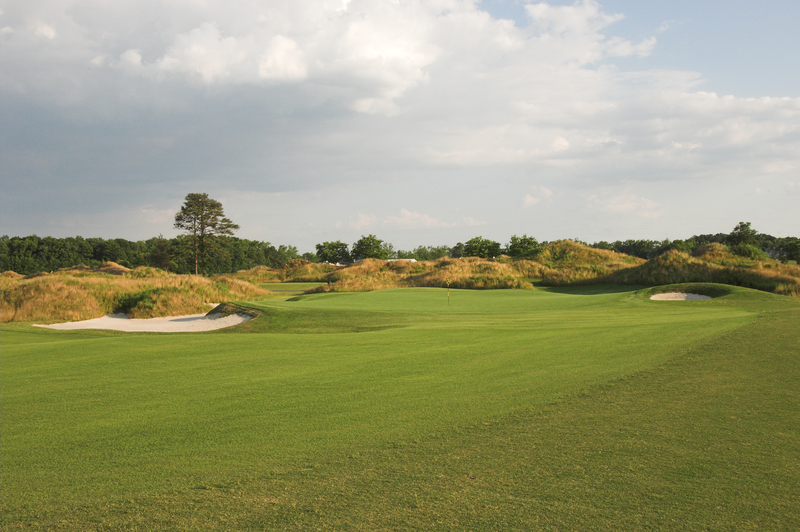 Through thoughtful planning, intense attention to detail, and with our specialized equipment force, we cause minimal disturbance to the rest of the course and do our best to minimize the effect on play during construction. 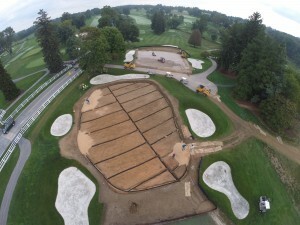 We appreciate the work of the “Golden Age” of golf course architecture and understand that special care should be taken to preserve or restore that work. Through the direction of an architect and club, we work hard to see that their vision is implemented with respects to the original designer. McDonald & Sons is an industry leader in the documentation and replication of green surfaces. 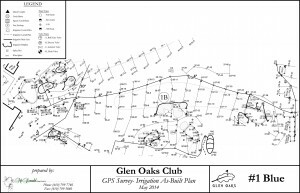 With our modern surveying technology, we can scan and record an existing green surface, rebuild the green profile, and replicate the original surface elevations precisely or with slope adjustments where necessary. 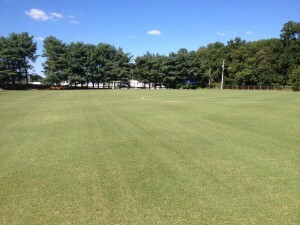 This process is imperative to clubs that would like to retain the character of their green surfaces and are in need of rebuilding or regrassing them. Through our use of advanced technology, we have the ability to meet the most stringent schedules and minimize the number of days from green closure to reopening. 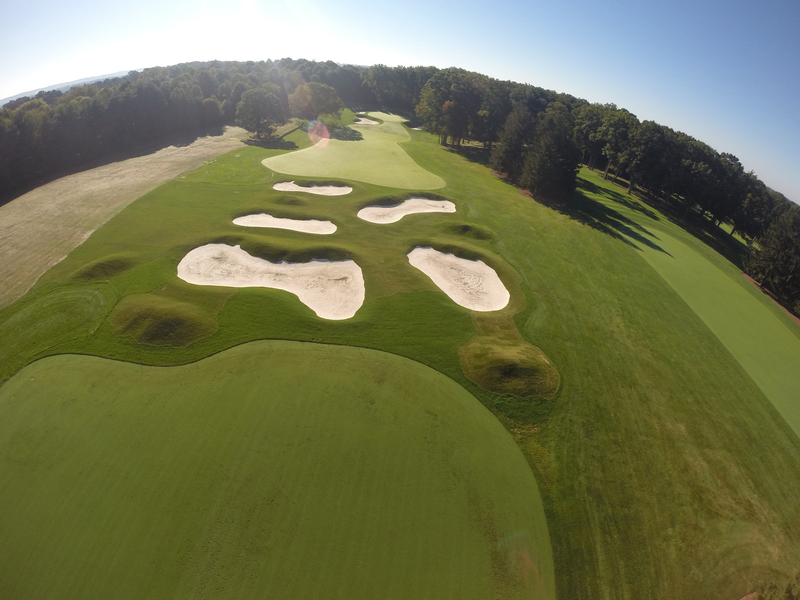 With fast greens being a modern day standard, many greens built years ago feature slopes that are too severe to cut a cup. 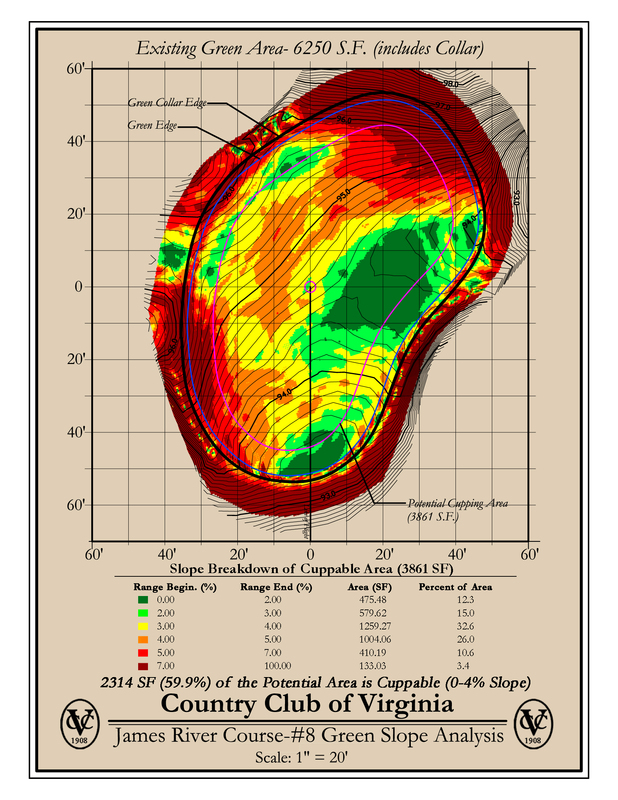 With our hyper-accurate surveying technology, we are able to provide slope analysis data in a detailed, color-coded manner, which shows cupping potential in relation to today’s green speeds. 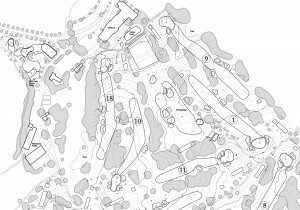 Designers can use these plans as a baseline drawing to create functional green surface grading plans. 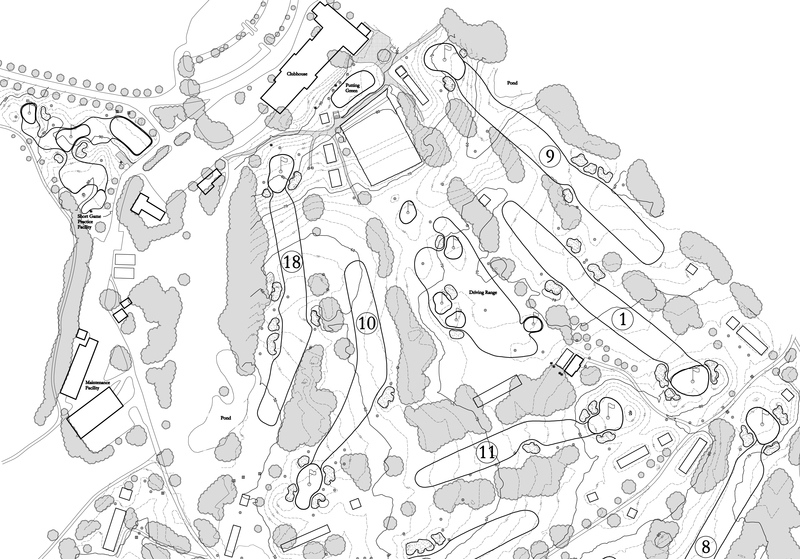 McDonald has the capability to map all features of a course, including topography. 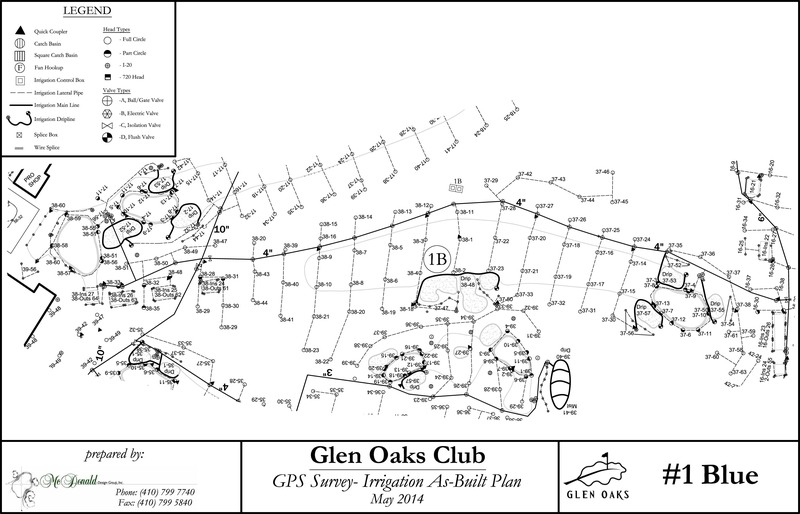 Through modern means of GPS technology, we can construct a comprehensive and accurate digital map of a facility that is a useful tool in the design and planning of course improvements or can be beneficial for a Superintendent’s daily use and application calculations. Our GPS and Robotic Total Station technology can also be used to document irrigation, drainage, and other utilities. Accurate as-built mapping is an invaluable tool for a Club and Superintendent. 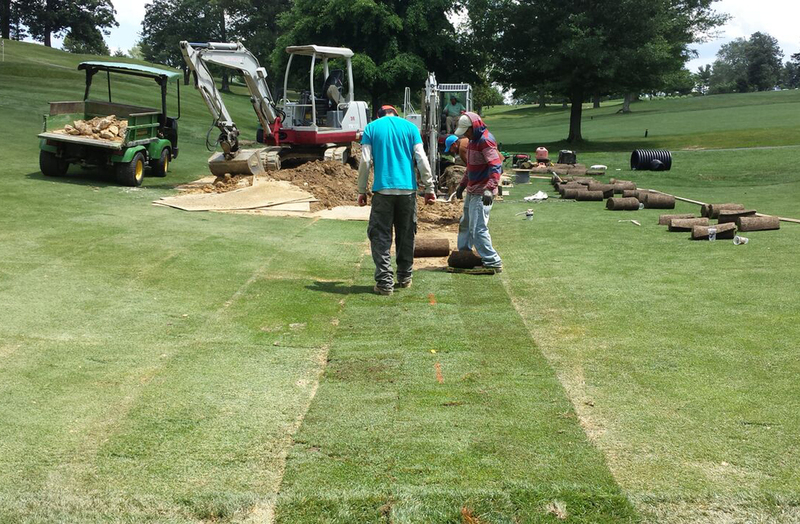 Drainage systems are vital in improving the agronomic conditions of a golf course. Our team is experienced in the installation of all drainage types, ranging from sand channel green drainage to large pipe. 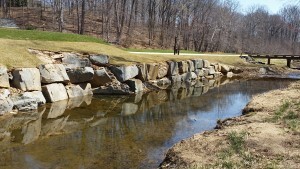 Our expertise allows us to inspect and repair existing course infrastructure and repair drainage systems where necessary. Drainage projects allow us to exhibit our finesse and through extreme attention to detail, the job is done as cleanly as possible to show little trace of work. 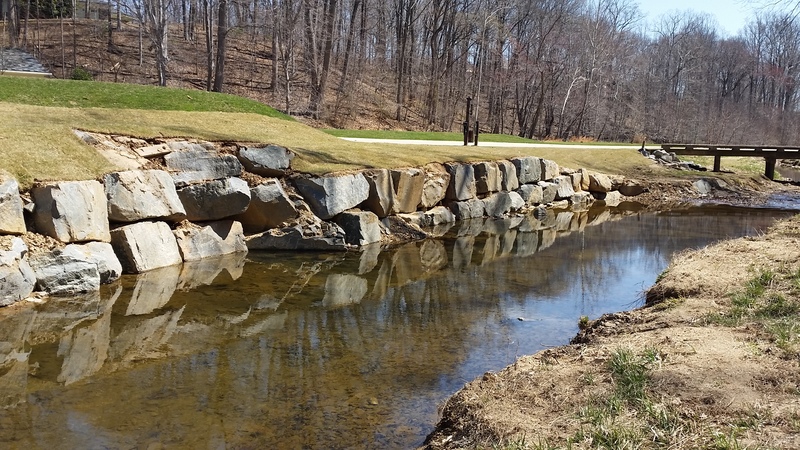 McDonald & Sons has experience in new pond construction, pond expansions, dredging, bank stabilization, liner installation, structural dam repair, stream work, and wetland mitigation. Our field staff is capable in working with county inspectors and environmental engineers to ensure that plans are built to specifications. Whatever a project calls for, whether it be hydro-seeding, seeding, sprigging, or laying sod, our skilled staff can deliver. We have the capability to harvest and seamlessly reinstall large quantities of sod for turf-type conversions. 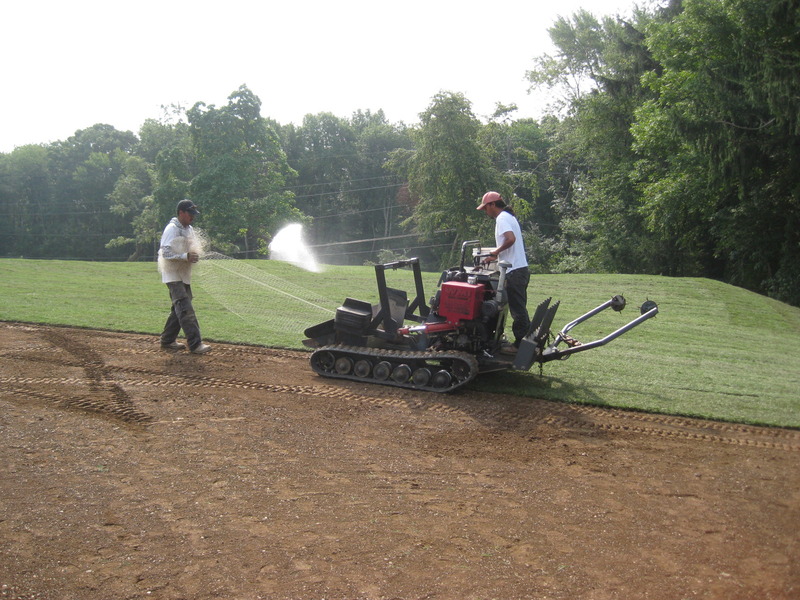 Large quantity regrassing services are also useful in tournament venue repair, to help a course bounce back quickly and return to normal playing conditions. 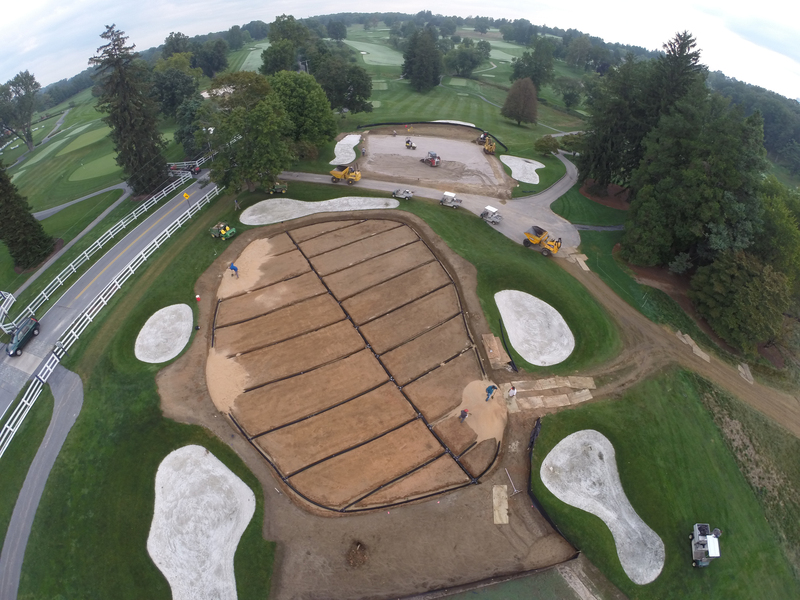 Our attention to detail and expertise in surveying, laser-grading, drainage, & turf management fittingly translates to the realm of sports field construction. We are proficient in the construction of new fields and rehabbing of existing fields. We approach these projects with the same commitment: to meet and exceed the expectations of our client.